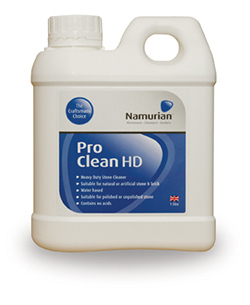 Namurian™ Pro Clean HD is a powerful degreaser for the tougher jobs. It is water based, containing no harmful acids. 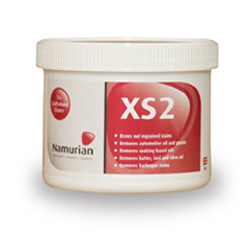 It effectively removes dirt, grease and oil stains from interior and exterior stone and masonry. This product is easy and safe to use given straightforward care and precautions are taken. It comes with clear instructions, it can be applied with a brush, sponge or roller. 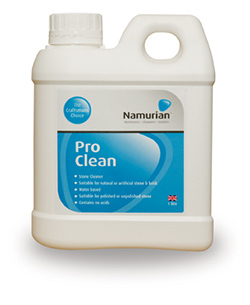 All Namurian™ products are as non-hazardous as possible, minimising environmental impact as well as the need to take safety measures. (2½ Litre) Buy bigger and save more money. 2½ litres will cover approximately 20-25m². 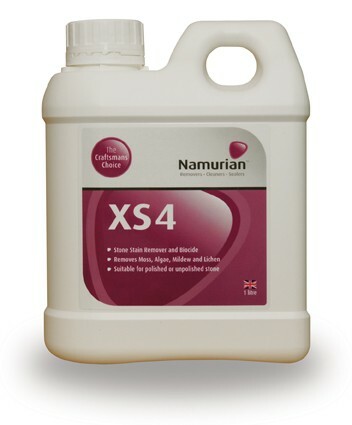 Best Selling Patio Cleaner It's all about suitability - not strength. This is generally best for cleaning patios.